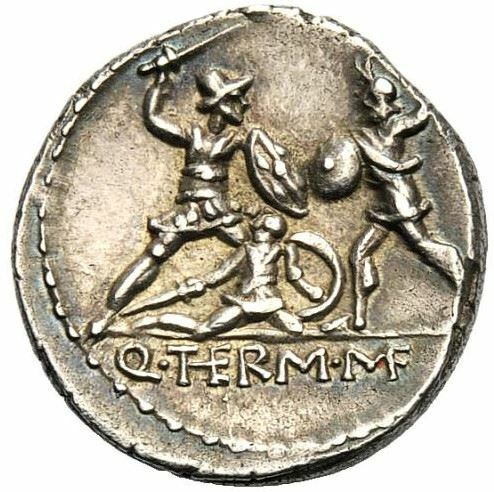 Q. Minucius M.f. Thermus was one of the moneyers for the year 103 BC. He probably had a long-standing alliance with Pompey. The cognomen Thermus, a borrowing from Greek, might refer to a bath or hot springs.